SpaTrend is the market leader Spa company in Hungary, selling HotSpring Spas they have been in the industry for more than 10 years. The onus of the company is unlike many other spa companies, customer satisfaction. 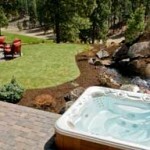 Our specialty is Spa sales and services. 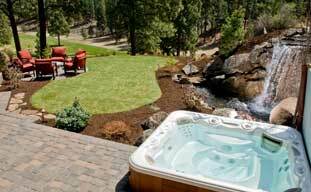 We have sold over 1500 spas in the last 10 years, and service around 2000. Our service team is proactively contacting customers to ask about their satisfaction, water clarity, and their enjoyment in using their spa. Our aim to ensure that with our help, our customers get more enjoyment from their spas. Why did you choose to sell AquaFinesse? We wanted to offer a reduced chlorine solution to our customers to help them use and maintain their spa easier. We realised that user satisfaction leads to more sales, and naturally that is good for us as a business. We truly believe, that the more customers are satisfied with their spa water, and the more people use it regularly, the higher will be the general interest in spas. As a result, AquaFinesse helps generate spa sales and this is why we offer it to as many customers as possible. A customers came to us with a serious problem in his old spa the biofilm and dirt in the pipes was half a centimetre thick and he did not believe that anything could clear it. However, after using the AquaFinesse SpaClean ‘deep clean treatment’ the results were astonishing and the pipe work looked brand new. After such an amazing result he switched to AquaFinesse, and ever since his water has been crystal clear.